Dr. Atoosa Nikaeen believes every child, adolescent and adult deserves a healthy and beautiful smile. Her conservative, detailed approach while also incorporating modern technology to facilitate patient’s treatment, sets her apart from other orthodontists. To prepare for her career creating those smiles, she attended the best schools and continues to hone her skills. 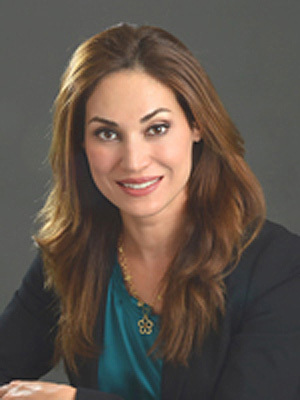 Dr. Nikaeen graduated with honors from dental school in 1993 and earned a doctorate in dental surgery (DDS). Dr. Nikaeen gained experience practicing general dentistry for several years before attending the prestigious Columbia University School of Dentistry and Oral Surgeons, in New York. There she completed her post-doctoral education in orthodontics and received an orthodontic specialty certificate. Dr. Nikaeen established her practice in Los Angeles, where she serves all of Southern California, including but not limited to Los Angeles, Beverly Hills and Santa Monica. Dr. Nikaeen stays up to date on the latest dental and orthodontic advances by attending numerous continuing education courses and subscribing to relevant professional journals. Her research has been published in leading scientific journals, and she is a former faculty member at the University of California, Los Angeles (UCLA), Dental School, teaching in the Orthodontics program.